This custom Wharncliffe Flipper from John Kubasek features a fileworked blade and stunning lightning strike kevlar scales! 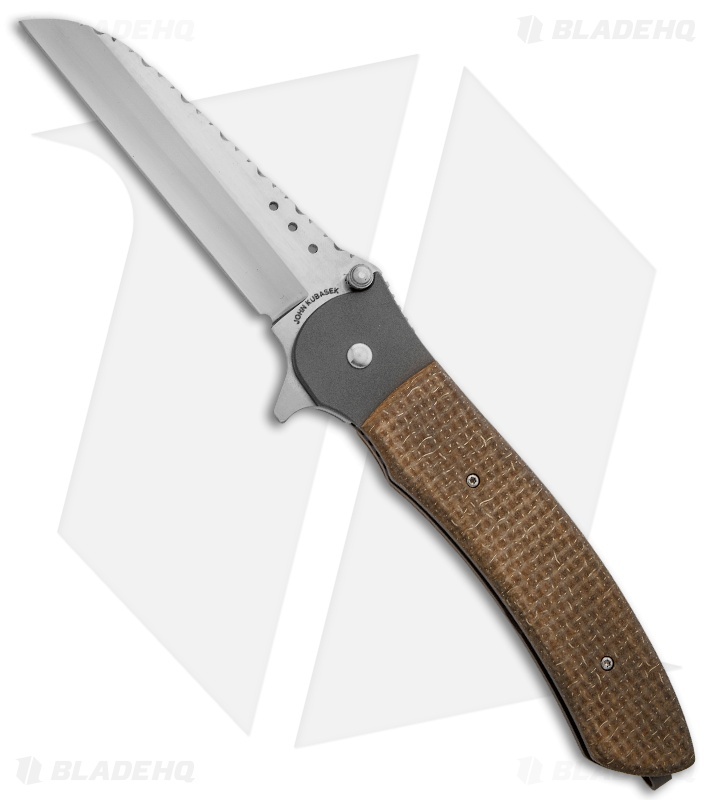 The CPM-154 steel wharncliffe blade is hollow ground and hand satin finished. 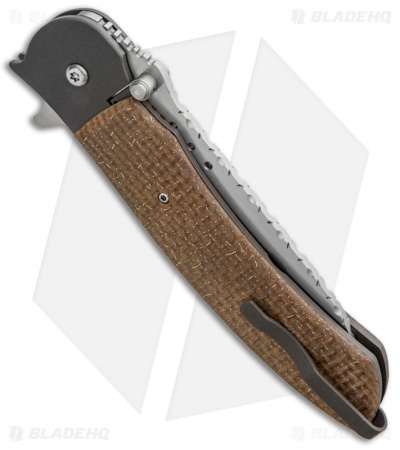 This knife has sturdy titanium liners and lock tab. Includes a tip-down carry pocket clip. The back scale acts as a stop for the lock tab. This knife is simply exceptional.